Not everyone is fortunate enough to be born with perfect teeth. Even those that are can still damage them through poor hygiene or injury. And plenty of people are in-between, with teeth that are healthy but which they wished looked just that bit better, there’s a solution for everyone. Even if we take care of our teeth, they will stain eventually. Some drinks like coffee, tea, dark alcohols, and even some foods can start to discolor your teeth. Teeth whitening can be done with a dentist and is normally realized in a single session that last one to two hours. 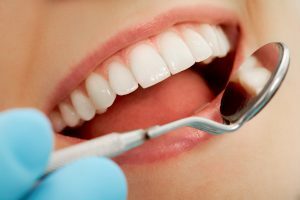 Since it’s made in a controlled environment being administered by dental professionals, it’s usually the stronger than any other commercial option. Sometimes dental clinics give to their patients’ at-home whitening kits to use after to maintain the whitening for a longer time. Veneers are thin shells made of porcelain or composite resin, which sit over teeth to restore their shape and appearance. 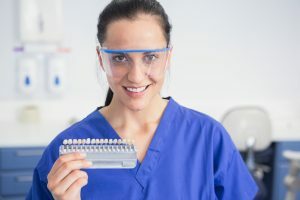 Porcelain veneers need to be manufactured in a lab, and will require two visits to the dentist but is stronger and will last longer than the composite resin. Fast braces are a growing area of dentistry that allows mild tooth misalignment to be corrected in approximately six months. These systems use conventional bracket and wire braces, but with the guidance of a program computer they can ensure the work is done as efficiently, and quickly, as possible. But these systems are designed to just align the front six teeth and are not suitable to reshape the jaw or bite.